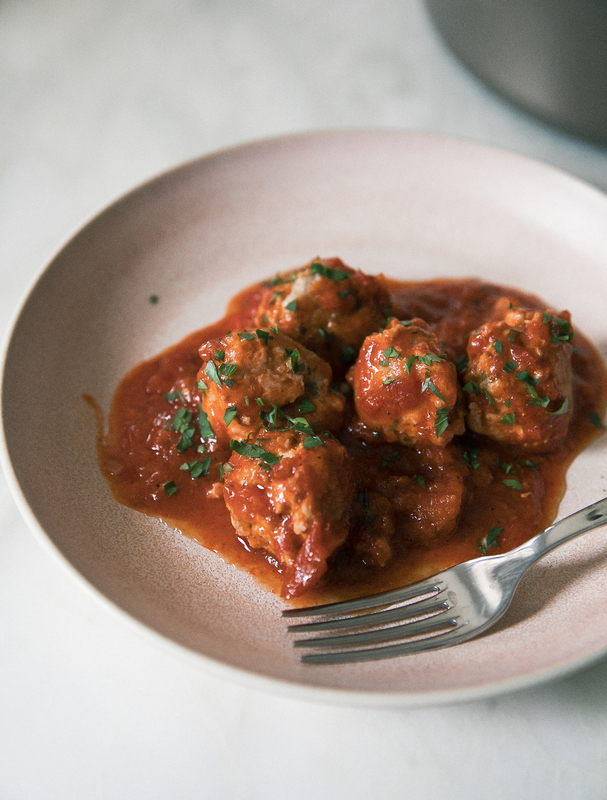 To say that these are my favorite meatballs of all-time is a grave understatement. I make this meal at least once a week and have been for a few years now. 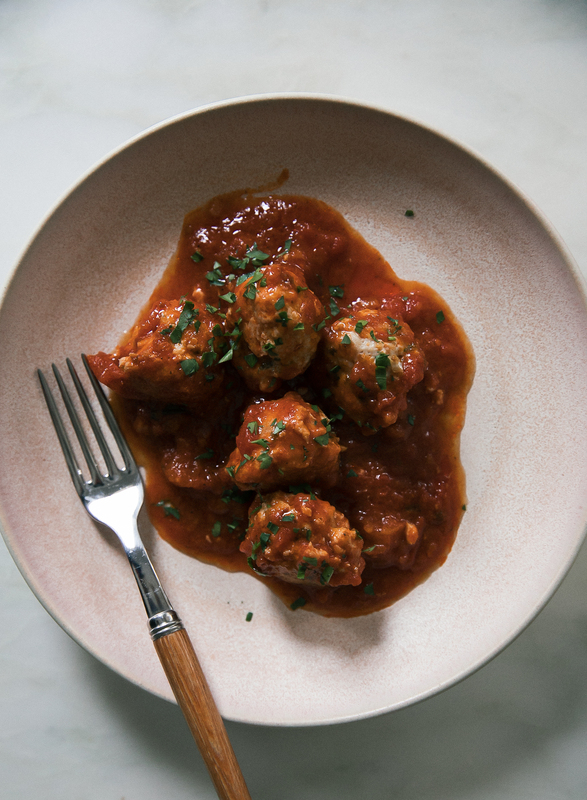 I like these chicken meatballs because they’re on the healthier side (I don’t use the classic milk and breadcrumb combo). I make these on nights when I’m tired of cooking but want something warm and comforting and on the lighter side. Typically I’ll use ground dark meat chicken because it has wonderful flavor which I actually prefer to ground turkey. I usually make these and pair them with a side salad for a quick dinner on a weeknight. Another great thing about them is that you can double this recipe and freeze the other half. I love nothing more than dinner only taking 10 minutes to defrost in the fridge. 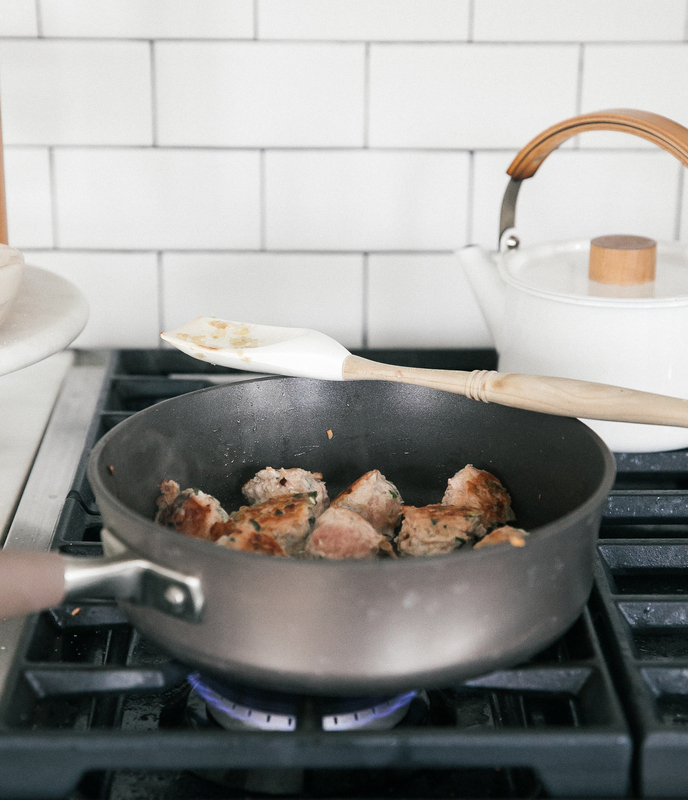 In a medium skillet, set over medium heat, add about a tablespoon of olive oil. When the oil is warm, add the shallot and a pinch of salt. Cook until translucent, about 3 minutes. Next add the garlic and cook until fragrant, about 2 additional minutes. Mix in the crushed red pepper and oregano. Transfer to a medium bowl. 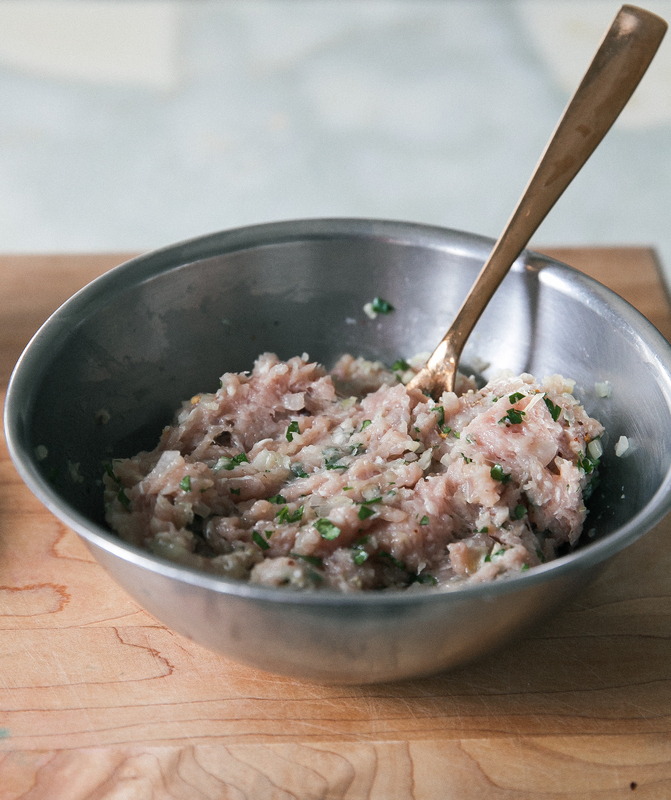 In the bowl with the shallot and garlic mixture, add the Italian parsley, Parmesan-Reggiani, ground chicken, and 1 teaspoon of salt. Mix with a fork until just combined. 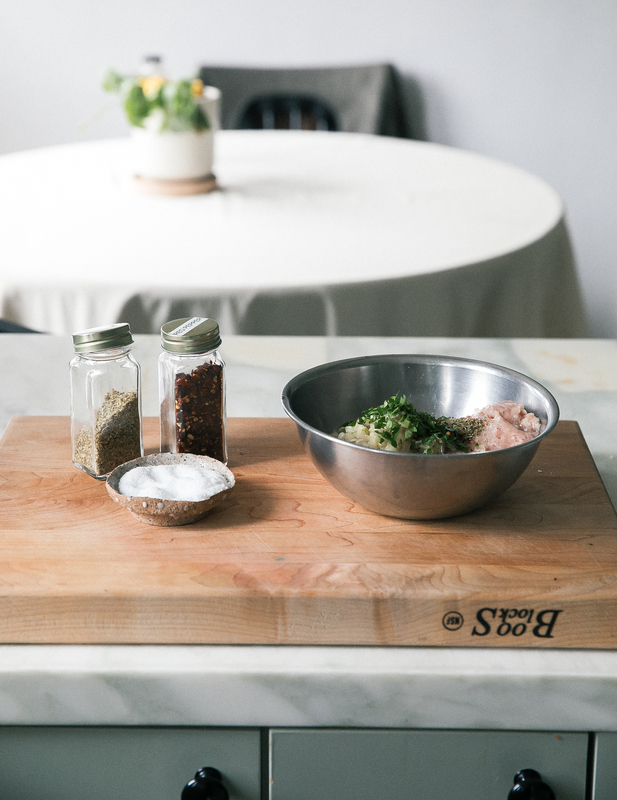 Using a medium cookie scooper, or a tablespoon measure, scoop out rounds of meatballs and transfer them to a plate. In the same skillet that we used before (no need to clean it out), add a few tablespoons of olive oil. When hot, add the meatballs, one by one, cooking on each side until browned, about 3 minutes per side. Pour in the marinara sauce and bring to a simmer. Turn the heat down to low and cover the pot, cook the meatballs for about 10 to 15 minutes. Remove the lid and adjust the salt of the sauce to taste. Serve with a side salad and an extra Italian parsley and Parmesan on top.